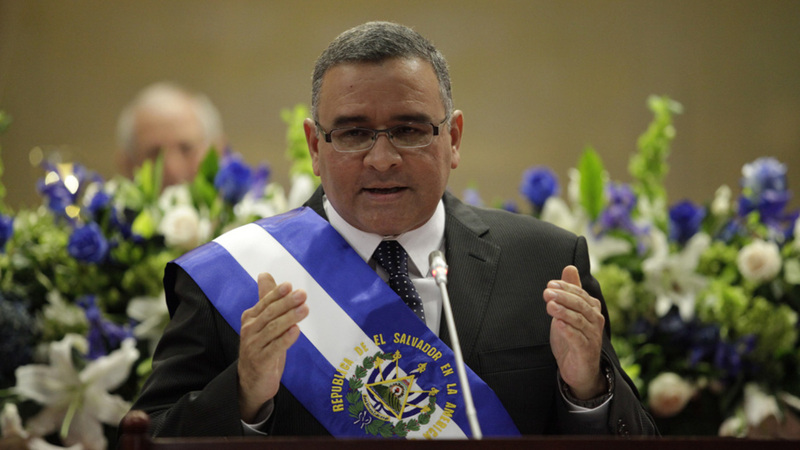 In 2009, voters made Mauricio Funes the first president of El Salvador from the Left. His election was a cause of great celebration for those on the left, and throughout most of his presidency, Funes was one of the most popular presidents in all of Latin America. Funes continues to say via his Twitter account that he was unaware of the details of the gang truce. When Munguía testified in court last week, he again rejected Funes' claim. The president was informed of everything, he said. The Odebrecht scandal. Mauricio Funes and Vanda Pignato were always close to former president Lula of Brazil. And Lula was always close to the mega-construction firm Odebrecht. That firm is at the center of one of the largest bribery and corruption scandals stretching from Brazil throughout much of Latin America. Persons close to Lula and Odebrecht have described how a quantity of $2-3 million was funneled into the presidential campaign of Funes from the office of Odebrecht used to pay bribes. It was dirty money flowing in to fund the campaign of the ex-investigative reporter turned presidential candidate. The bonus scandal. Like his predecessors in office, Funes administration paid out secretive cash bonuses to officials working for his government. Those officials never reported or paid taxes on the "bonuses" which they were receiving. Illicit enrichment. The public integrity arm of El Salvador's Supreme Court has found that Funes has been unable to establish the source of some $700,000 in his increased wealth over the course of his presidency. Funes must now face trial for return of the funds. One year ago, Funes sought and received political asylum in Nicaragua where he has remained until now. From the neighboring country, Funes is constantly defending himself and commenting on Salvadoran events through his Twitter account. He aims his most vitriolic attacks at the office of El Salvador's Attorney General, Douglas Melendez. If Funes wants to resurrect his image in the face of these scandals, he will need to return to El Salvador and not just tweet from afar. But since his two immediate predecessors ended up in jail awaiting their trials, I doubt we will see Funes leaving the protection of Nicaragua any time soon.